This dairy seeks to differentiate their farm as something more than organic. They do this with biodynamic farming practices, A2A2 cattle, green pasture 365 days-a-year, and the cows having access to pasture year round. 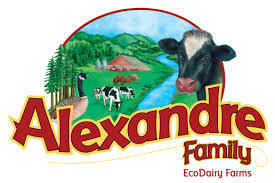 They have a 100% A2A2 certified beta casein protein herd (validated by their certifier CCOF). This dairy brand can be found at Whole Foods Market (PNW, NorCal, and SoPac), Jimbos, Gelsons, Sprouts, as well as 100 independent natural food stores across Washington, Oregon, and California. Other Labels/Standards 80 Both American Humane Certified, and Non-GMO Project Verified. Also certified through Farmers Assuring Responsible Management (FARM). May be biodynamic certified soon. 100% A2A2 certified beta casein protein herd, validated by CCOF.